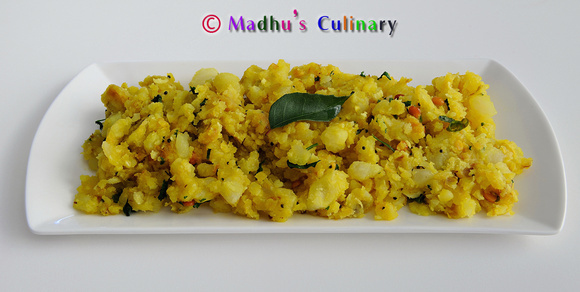 Potato Podimas ->Suvayo Suvai | Simple Vegetarian Recipes, Easy to prepare and healthy to eat! Cook the potatoes in the cooker for 3 whistles. When it cools peal the skin and mash it [or] cut in to small pieces. Take a kadai, add oil. When it’s hot add mustered seeds. When it splutters, add channa dal ,urad dal,curry leaves. Then add ginger,hing,grated coconut and turmeric powder. Then add the potatoes and salt. Let it cooks for 10 minutes in the medium flame. After switching off the flame, add lemon juice and mix it well. Garnish it with Coriander leaves. 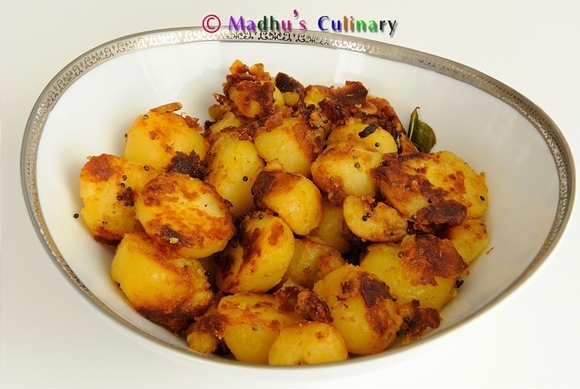 Serve it hot with rice, chapatti or as a side dish. very nice and easy recipe!! !